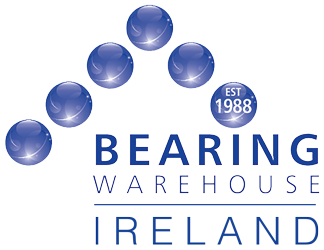 Bearing Warehouse was established over 25 years ago, in November 1988 by Martin Sowter, to supply bearings and associated products from leading European, American and Japanese manufacturers to the worldwide bearing trade. In recent years under the guidance and leadership of Managing Director Chris Parish, the company has expanded the business considerably and now distribute for Spanish automotive and taper-roller manufacturer Fersa Bearings, and are sole UK & Ireland distributor for German housing manufacturer HFB. In 2008 Bearing Warehouse incorporated the ball and roller division, set up solely to supply loose balls and rollers of all types, sizes and materials. This specialist division in Worthing, West Sussex currently has over 15,000 products in stock and is growing each year. With sites in Sheffield, Worthing and Bristol collectively giving over 46,000 sq ft (4273 sq m) of warehousing space for our 30,000 plus product lines, Bearing Warehouse is probably the largest independent wholesaler of bearings, loose balls, loose rollers and bearing housings in the UK.